We then found our destination (with the help of Google maps), but it really wasn't very hard to find. It's a step back from the Cardiff Bay waterfront - near where the Tesco Express is. It was a lovely surprise to see one of my high school friends behind the counter, so after a quick catch up she talked me through the process of a Magic Wrap. 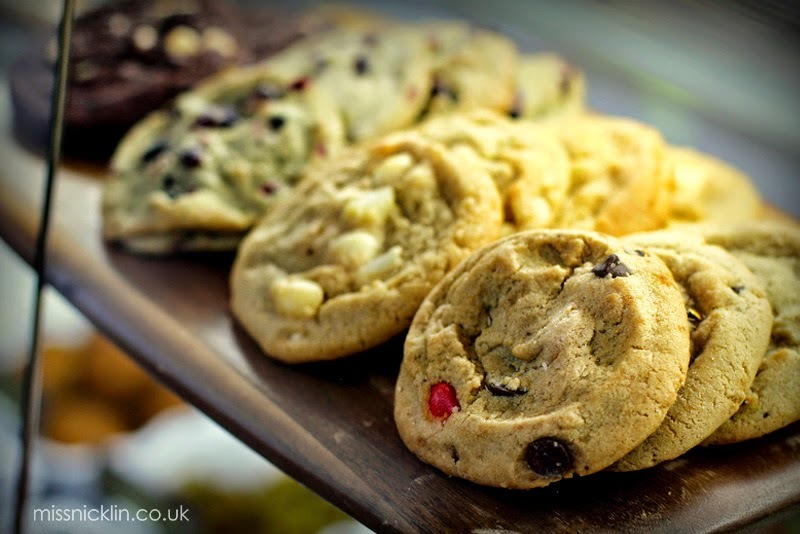 They have set fillings such as; Bacon and Brie, Hot Aussie and The Emperor. 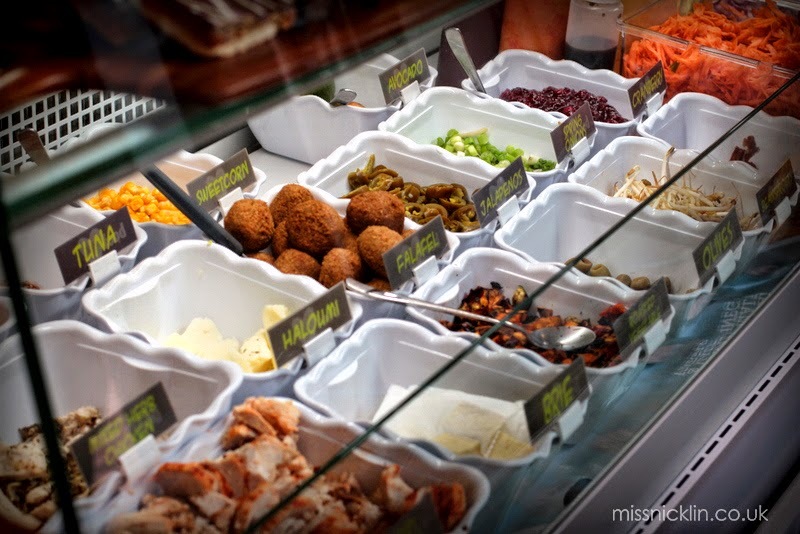 However, you can create your own fillings, add more fillings to theirs or completely mix it up resulting in a Tuna Aussie Flying Chicken Jamaican! Being the indecisive person I am, I played it safe and opted for a large 'Flying Pig' which is piri piri chicken, chorizo, BBQ sauce and salad. I then also added an extra of sun dried tomatoes and went for the hummus base. Once your wrap is ready, they then put it in a press grill thingy (I have no clue what the technical name for it is..) This warms the wrap up and gives it a delicious crispy texture. Then that's it - it's ready to go! We also had a meal deal, which for a small extra includes a drink and a cookie, crisps or fruit. 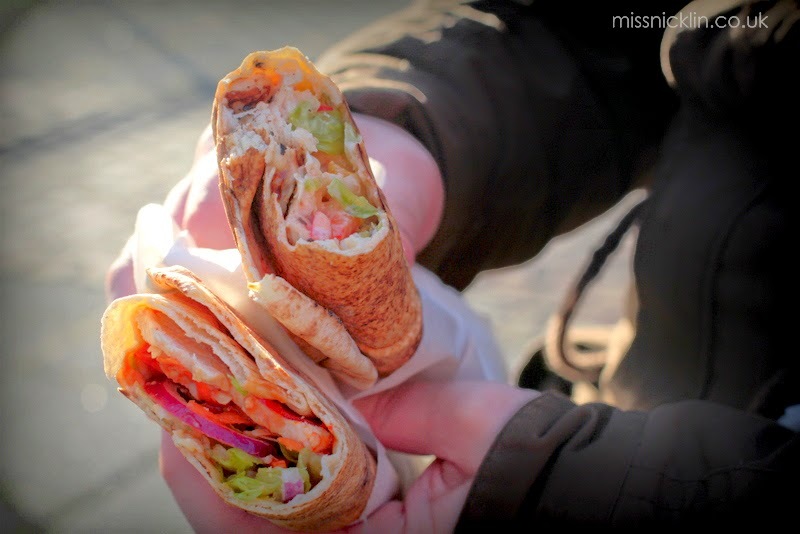 We then headed to the water front of the Bay, fortunately the wind had died down, so we were able to relish our flavoursome wraps while over looking gorgeous views of the channel. Oh wow, it was soooo good, and so filling! I could barely eat all of mine so I saved the rest for later. It is perfect for anyone who is trying to get more goodness into their day but doesn't have the time to cook, and doesn't want to compromise on quality. 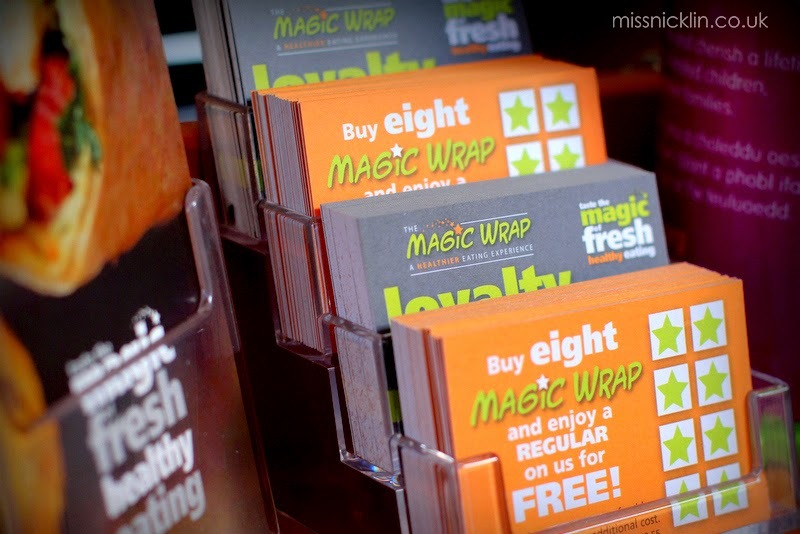 While you're there, don't forget to pick up your Magic Wrap loyalty card - after 8 Wraps you get a regular Magic Wrap for free. 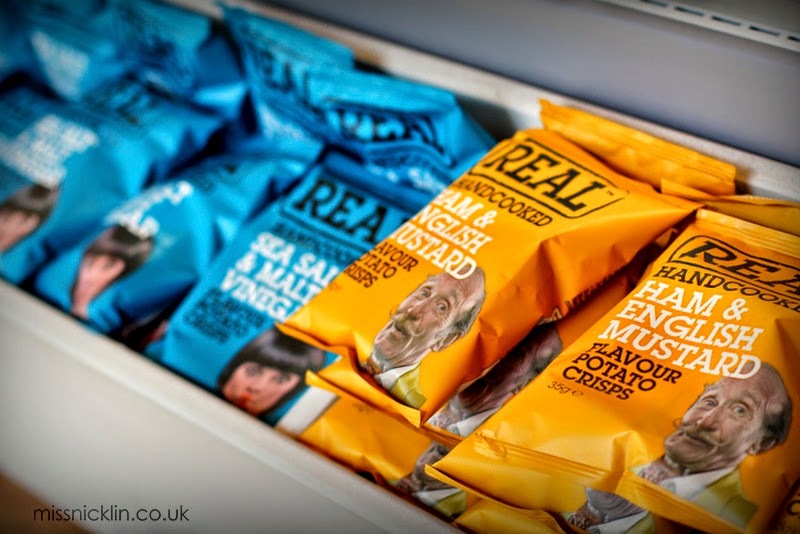 One more awesome thing about the place - you can order online and pick it up in store to save even more time. This is currently only available at the Barrack Lane store, but it's soon to be at The Cardiff Bay one! 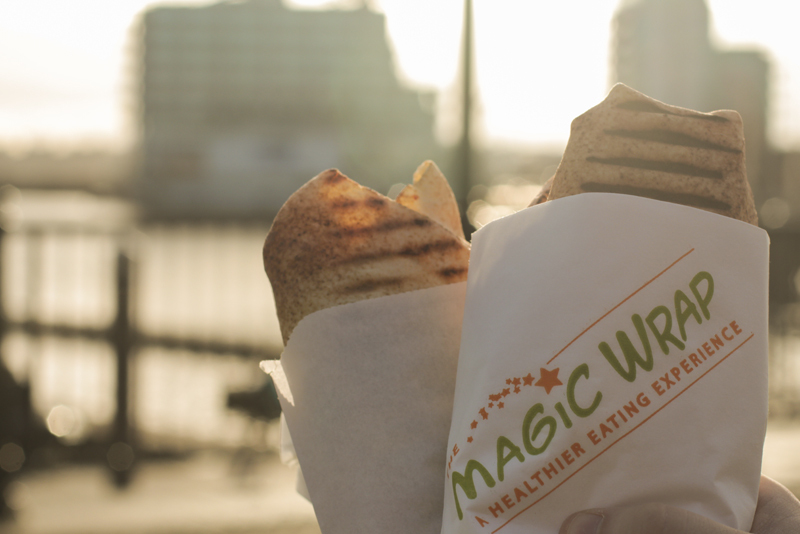 The Magic Wrap is slowly taking over Cardiff - they've already got 3 places! 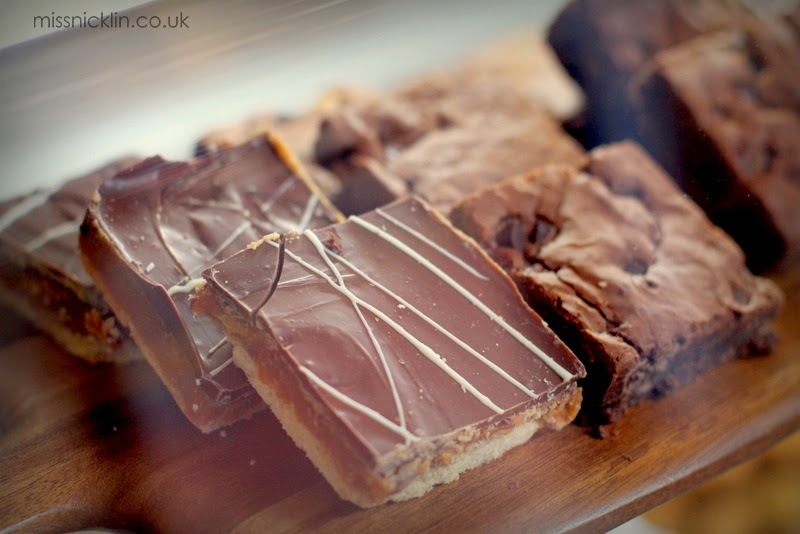 If you're in the mood for something healthy and a bit different then give them a try, you won't be disappointed! To see where else I've reviewed, click here!